Today I am doing a quick pregnancy update. 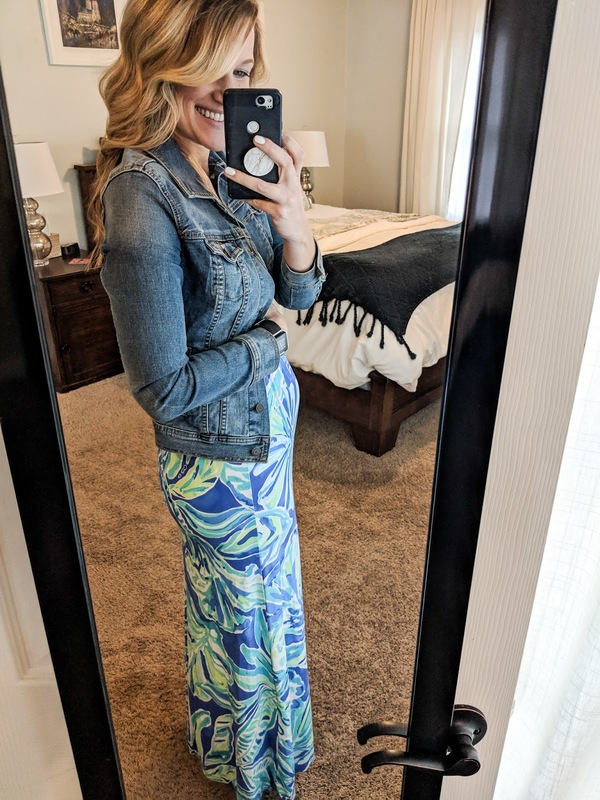 When I was pregnant with Lily Grace I kept a pregnancy journal where I wrote down how I was feeling/what we were doing to prepare but figured it would be much more fun to do an online journal this time around! Maybe another pregnant mama out there will want to read along, or some mama's who want to reminisce about being pregnant 😉. At this point I am 14 weeks along and feeling much better than I had been. I previously wrote that I changed my prenatal vitamin and that seemed to be helping tremendously. I still get nauseous from time to time, but it is not nearly as bad as it had been. I haven't thrown up in weeks! My clothes are definitely starting to get a little more snug around the waistline! The bump has made the slightest bit of an appearance but if I'm being completely honest with you, that could actually just be all the greasy carbs I ate while going through morning sickness. The only things I could keep down were French fries, tater tots, buttery biscuits, etc. Sooooo that may be more of a biscuit bump than a baby bump-- whoops! I am trying to still workout as many days as possible, but I just take it easy and do modifications when necessary. I notice I feel MUCH better when I am able to get a workout in, even if that means just going for a long walk. I obviously have to watch my caffeine intake so in the afternoon when I start to get a little drowsy, I try to get up and just walk around a bit. Even if that just means doing a few flights of stairs at our house. When I was pregnant with LG I craved everything salty. I went through more chips and salsa in those 9 months than I think I have the rest of my life. 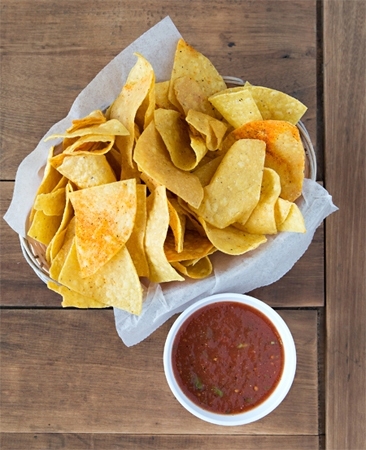 Once again, chips and salsa seem to be the go-to craving. I might as well start buying the Costco sized bags of tortilla chips now and get it over with! If I'm really in the mood, I will call my favorite Mexican restaurant near my school and get a takeout order of just their chips and salsa on the way home from work. Their chips are IN-CRE-DIBLE and totally worth the extra few dollars. I'm not crazy, they were ranked in Charlotte Magazine a few years back for best chips and salsa in Charlotte! Congratulations on all the stages and excitement of this event! I want ALL THE CHIPS AND SALSA right now, and I felt the same during my last pregnancy! Congratulations on your new bundle of joy--you look great! Congrats on being 14 weeks! A biscuit bump, lol. You should nickname the baby "biscuit" for now- too cute. I just clicked over from the link up & am glad I found your blog. 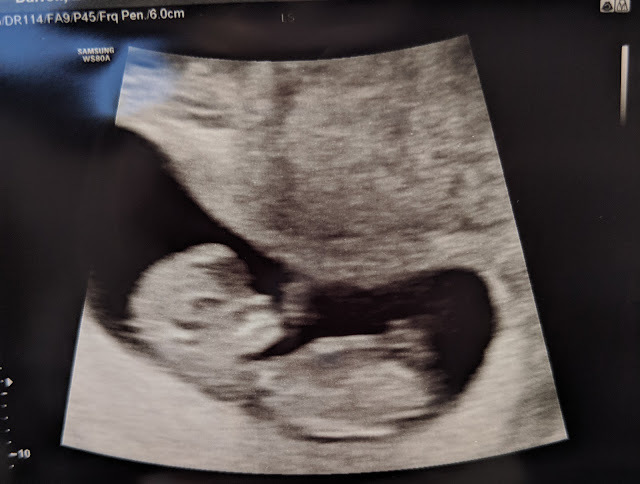 I am currently 17 weeks along and my husband and I are expecting for the first time with TWINS. 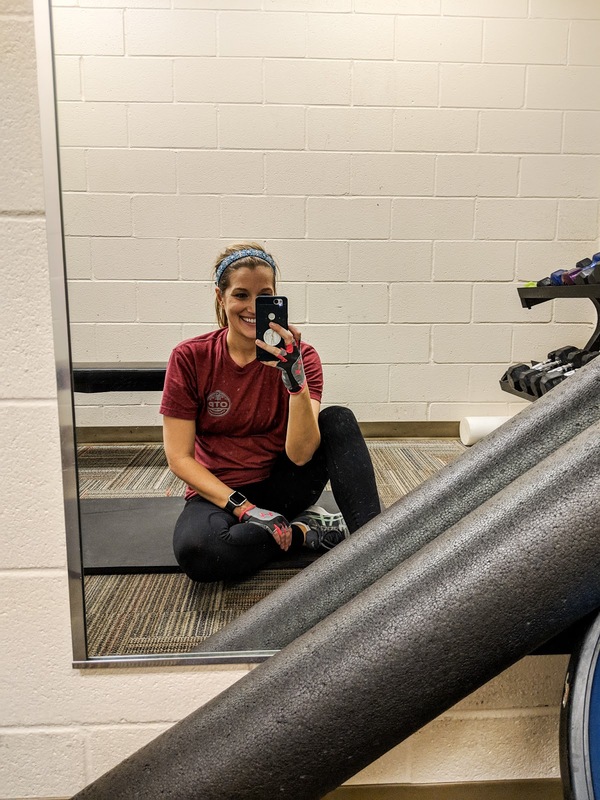 :) I recently posted a 16 week update. Have a great weekend.